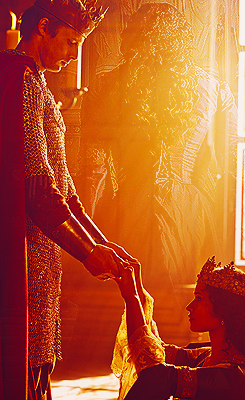 Arthur and Guinevere: Exquisite! Exquisite! Exquisite! (4). This is so perfect it takes one's breath away.. Wallpaper and background images in the Arthur and Gwen club tagged: arthur gwen bradley james angel coulby arwen season 4 merlin bbc. This Arthur and Gwen photo contains concert.